The link will take you to my latest blog post. As some of you are aware we have moved away from WordPress and have our own domain http://www.geocachingwithgeokids.co.uk were you are still able to follow my crazy exploits and stories of health, recovery and general life. Feel free to pop over there and subscribe too so that you never miss another blog post. As some of you know I am a geocaching Scout leader – who enjoys releasing Scout related travel bugs. I currently have four traveling around the world somewhere, but today I want to share one in particular with you. Lumi’s 1st Facebook Scout Necker is by far my favourite Scout travel bug to date. I’ll begin with a little bit of history (and will try not to bore the pants of you!). Scouting began in 1907 when Robert Baden-Powell took a group of boys on a camp to Brownsea Island. 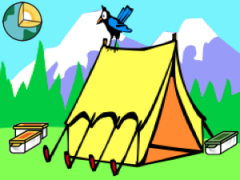 This camp marked the birth of Scouting which is celebrated worldwide every year on 1 August. I began my Scouting career at the end of 2006, and started working with the youths in our centenary year of 2007 and boy what a buzz it was that year. It was also that year that I joined Facebook and found 1st Facebook Scout Group. It was through this group that I first became friends with a couple of lads from Egypt who had been over here for the World Scout Jamboree and were returning in 2008 for Essex International Jamboree and they wanted to get to know people they would be working with. Sometime during 2007/2008 Scouters on 1st Facebook wanted to have neckerchief’s and “district” badges that they could have on their camp blankets etc and OneStopScouting rose to the challenge. I have no idea how many Scouters out there have these neckers but I bought several (I’m not addicted, honest). I began wearing mine to unofficial events and on camps and quite often got asked about it and where to get it. I even wore the necker and my Scout uniform to a Scouting For Girls concert. …I spent the day sewing group and district badges to my 1st Facebook necker along with the geocaching travel bug dog tag and wore it to the event. Not one of my greatest images, but hey we are all geocaching scouters; (L to R) Bloater40, CadencetheGeokid, Luminesence, Winter-smith, Sir-Lancelot. That evening I couldn’t bare to part with my neckerchief, but by the time we had our next Kent meet up (just 8 days later) I was ready for it to go “into the wild” but I wasn’t able to pass it on to just anybody (it was like saying farewell to a dear friend). Sir-Lancelot offered to move my prized neckerchief on to pastures new. WoW! My neckerchief was going to Gilwell Reunion, I still haven’t managed to get there myself (life has managed to get in the way every year so far). My neckerchief was beginning to have a much better adventure than me. Then we were passed on this great 1st Facebook Scout Necker to pass on to another geocaching scout leader… Great Stuff!! 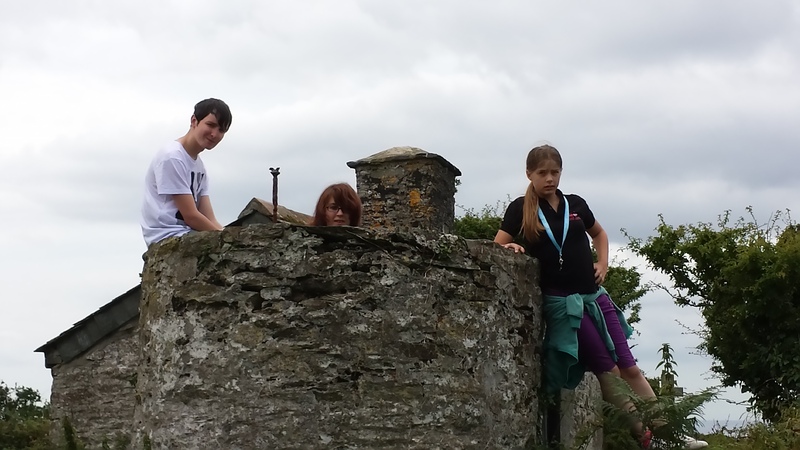 I am also the leader who runs geocachingscouts.uk and run geocaching presentations at other groups and very soon for a group of Guide Leaders… so a visit to a presentation first then we will pass it on. Thankyou for this great trackable. Yay – another Scouting geocacher acting as caretaker for my 1st Facebook Scout Necker and this guy is none other than the page owner forGeocaching Scouts UK and the website Geocaching Scouts UK. My enthusiam for travel bugs has now risen to almost jumping up and down with glee. I am very excited to see where my neckerchief ends up next and I do hope that geocachescouts takes plenty of photographs of my necker at the presentations he will be doing. 1. The illness I live with is: Chronic Fatigue Syndrome, Fibromyalgia and Irritable Bowel Syndrome. 2. I was diagnosed with it in the year: I am still awaiting a full diagnosis but have suffered on and off since 1990. I had a partial diagnosis in 1999 then relapsed in Dec 2011 and finally have a more solid idea of what is going. I am now waiting for the fatigue clinic appointment. 3. But I had symptoms since: I was 14 years old. 4. The biggest adjustment I’ve had to make is: Allowing my children to help me with everyday chores and letting my partner drive when I am tired. 5. Most people assume: There is nothing wrong with me, because I look fine. I don’t look tired, I can move well enough and I can be quite active. 6. The hardest part about mornings are: Trying to move when the alarm goes off. You would not believe how much concentration is needed to open your eyes. Then of course there is the standing up to get dressed, pins and needles in your feet & toes (most uncomfortable), and then there is the light-headed dizzy spells – walls are my best friend in the morning. 7. My favorite medical TV show is: I actually don’t watch TV. I would much rather be social networking or blogging. 8. A gadget I couldn’t live without is: Well that’s easy, my smartphone. I can do everything on there that I can do on my netbook. 9. The hardest part about nights are: If I didn’t have the Amitriptilyne then I would have to say going to sleep. My body could be dead to the world with not enough energy to even move – but my brain wakes up and won’t shut up. 11. Regarding alternative treatments I: have tried relaxation/meditation but I need to be stricter on myself, I keep letting stress get in the way. I also use the blog as a form of “alternative treatment“. 12. If I had to choose between an invisible illness or visible I would choose: Invisible – there may still be a lot of stigma behind having an invisible illness but it is easier to hide behind the smile mask. 13. Regarding working and career: That is on hold at the moment. I discovered that I am unable to stay awake/alert enough to work as a teaching assistant. I even tried temping just a few days a week as a TA, but it hasn’t worked out as the fatigue is so unpredictable and I was letting schools down and even got sent home on a few occasions. 14. People would be surprised to know: I’m not sure about this one. 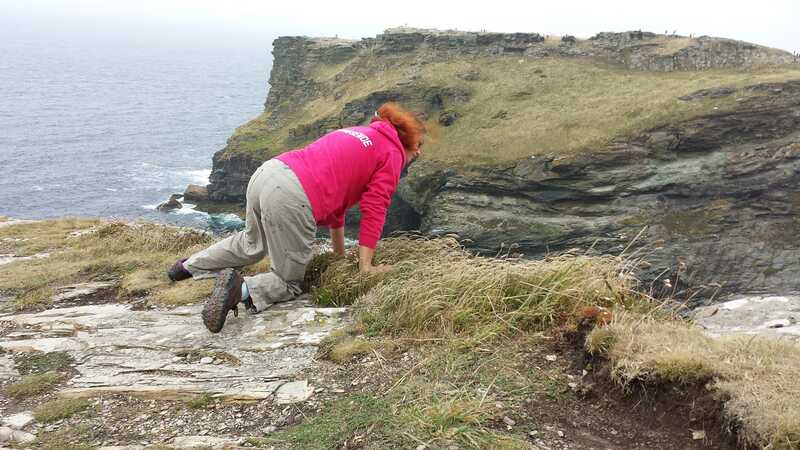 People who know me know that I still enjoy walking & geocaching and that I like to push my illness to its limits with the occasional rock climb, abseil, kayak trip and camping. 15. The hardest thing to accept about my new reality has been: That there are days where I simply cannot do even the simplest of tasks without assistance. 16. Something I never thought I could do with my illness that I did was: Continue to enjoy some extreme sports. However I do need to rest for a few days before and I get no choice but to recover for several days afterwards. 17. The commercials about my illness: I live in England and as far as I am aware there are no commercials regarding CFS/ME and Fibromyalgia. However I have seen some IBS adverts and frankly they only deal with the mildest forms and are no help to me at all. 18. Something I really miss doing since I was diagnosed is: At the moment it is working. 19. It was really hard to have to give up: Work… Yes you read that right. I also had to give up being a Cub leader for a year and that was a really hard decision to make, and one that I am still making now. I don’t want to leave my Cubs, but I don’t know how much longer I can carry on leading them. 20. A new hobby I have taken up since my diagnosis is: Blogging & vegetable growing. The blog helps me to get the negative thoughts out of my head and make something positive from them. Who knows maybe someone has been helped from reading my woes. 21. If I could have one day of feeling normal again I would: Fit in all the visits that I owe friends and family. Sometimes I feel like I have become a recluse because I don’t go out to see people everyday. 22. My illness has taught me: Is still teaching me… to slow down, manage my time, accept help from others and enjoy each day as it comes because life is far too short. 23. Want to know a secret? One thing people say that gets under my skin is: “There can’t possibly be anything wrong with you! You look absolutely fine!” You know what love… I look fine because I force myself to look fine so that you don’t make silly comments like that!!! 24. But I love it when people: Treat me like they would anyone else, but deep down they know what is going on. Most of my friends can read the signs of my flares and know how and when to step in. 25. My favorite motto, scripture, quote that gets me through tough times is: Treat each day as if it is your last. Because life is too short and you never know when you will be unable to carry on doing your favourite things. 27. Something that has surprised me about living with an illness is: How many people I have met that are also living with the same illness. We compare stories and strategies. It has been very helpful. 28. The nicest thing someone did for me when I wasn’t feeling well was: My fiance buys me little things, like gluten/wheat/dairy free chocolate. 29. I’m involved with Invisible Illness Week because: The stigmatism behind invisible illnesses needs to stop. We are NOT making this up – it is real. 30. The fact that you read this list makes me feel: Happy that my message is coming across and that you may have learned something new. 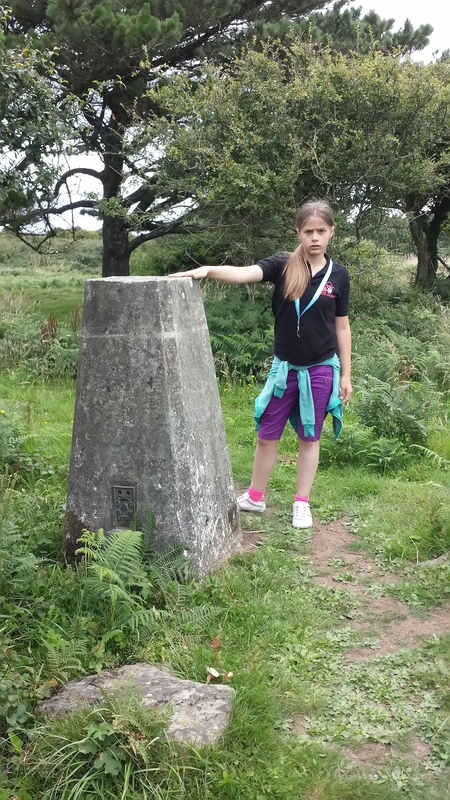 As some of you are aware, I have now moved the blog to www.geocachingwithgeokids.co.uk but felt it was important to post this here too. We have made the decision to migrate to our own domain name as of this weekend. All email subscibers have been transferred so no need for you to do anything. If you are a wordpress follower however, I am not sure if new posts from Geocachingwithgeokids will still show up in your reader, so if you would like to continue following our madcap adventures, Wolfiesworks, the progression of the Kent Mega 2014, and how I continue to cope with cfs & fibro then please follow the link to our home page to subscribe by email so that you never miss another post. Alternatively, you can follow us through Facebook. Last week I took the geokids to Cornwall for a few days, so that Wolfie could spend some of the summer break with her boyfriend (yes I made him cache too). Anyway, Cadence and I found ourselves at a bit of a lose end on the Wednesday. The weather was overcast but still warm and we really didn’t fancy a boring day at our basic campsite (it hadn’t got anything there for children to do). As I had always dreamed of visiting the home of King Arthur of Camelot, with a romanticism of the medieval past imagined from all the stories, novels and television shows that have fuelled my enthusiasm for English history for as long as I can remember, we hopped into the car, loaded the GPSr to direct us and headed out. Sorry I got distracted… back to ancient Cornwall. As I said there were beautiful buildings (I do love ancient architecture especially knowing a little about the crude tools that were used to build these perfect homesteads), and there was one little place where we were able to sit and admire Fore Street in all it’s hustle & bustle and bag ourselves a geocache at the same time. 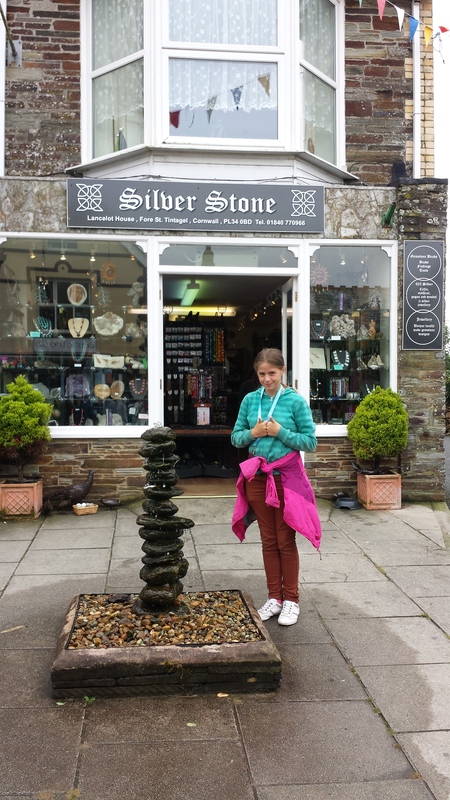 Tintagel – Extreme Stealth is a difficulty 3/terrain 1 traditional geocache in the heart of Fore Street, Tintagel. The cache owner, SMacB, describes it as “Nano, extreme stealth required. Possibly one of the busiest areas of the village” and repeatedly mentions stealth is required. Now here was a challenge we were not going to pass up. With a scratch of my leg the cache was in my hand and the passers by had no idea I was acting suspiciously, log duly signed and with another scratch or two the cache was returned to it’s home and the tourist’s were none the wiser. 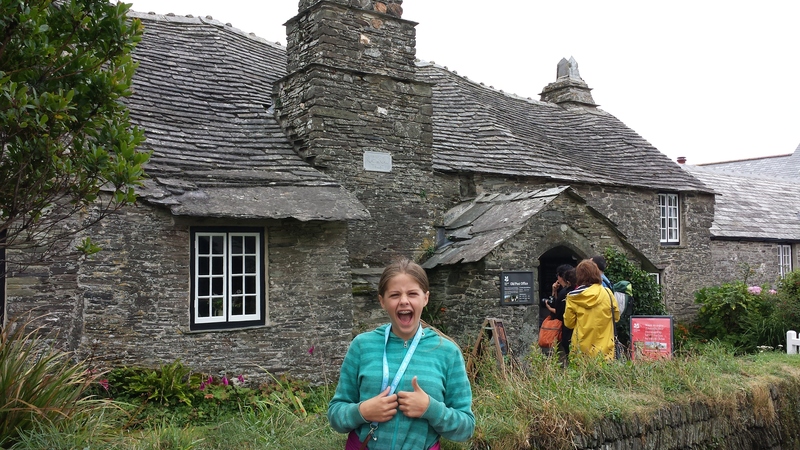 Job done it was time to find Tintagel Castle to see if it lived up to my high expectations. The easiest way to do this was to follow everyone else as they all were going to and coming from the same direction. 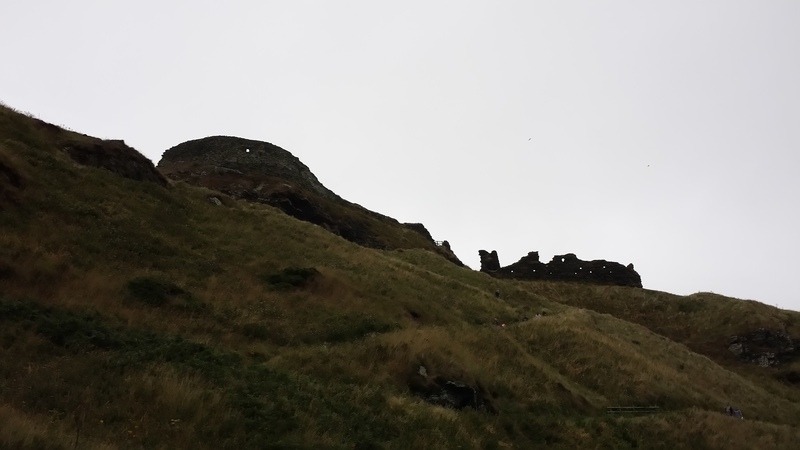 In no time at all, Cadence and I were trekking down a very steep and very long footpath & unmade road towards what is possibly one of the most famous attractions in the UK – Tintagel Castle. Home of legends, myths and magic. Despite the looming grey clouds which have a tendancy to make everything look miserable, I was still in awe of the medieval structure, although now all in ruins it still looks impressive and you can just imagine how imposing and intimidating it must have been at the height of King Arthur’s reign. Atop the opposite cliff looking over at the towering heights I felt very much at peace and at home. 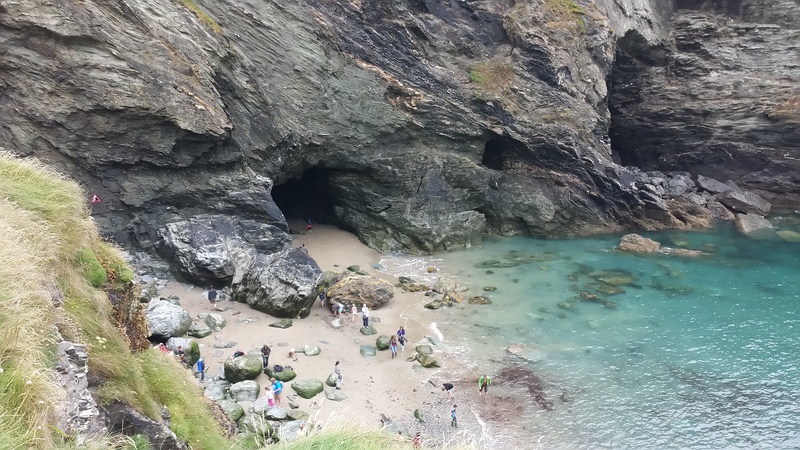 We spent a long time with mouths agape, speechless, at the top of Tintagel, imaging the knights enjoying their banquets and Merlin hiding out in his cave at the mouth of the sea. A time well spent dreaming and back to the task in hand – finding the geocache. Tintagel Castle was placed by Lunchbox back in Sept 2001 and has accrued a staggering 151 favourite points. Well knowing it had that many favourites and 1,170 found logs, Cadence and I thought it may be an easy find. We followed the arrow in the direction of the cache, read the description when we were close to ground zero and the hint (because we couldn’t see any obvious hiding place) and began our search. Because of the strong breeze I decided that it wasn’t a good idea for Cadence to join in this hunt, so left her in charge of the camera. After some belly crawling, finger tip searching and more belly crawling I gave up and we sat together enjoying the view while I read up on the found logs. That was when I discovered we were in fact too high up the cliff. We hunted around for the path described in the logs and on closer inspection my fear of heights got the better of me and we logged a “did not find”. 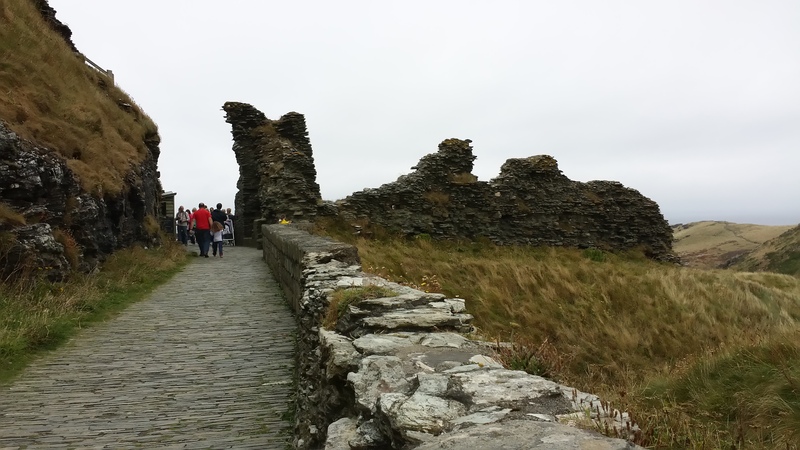 Despite our slight failure we were not despondant, we had enjoyed our time in Tintagel, dreamed glorious dreams of Camelot and were now ready to move on to the next village that held more hopes and dreams – Boscastle. 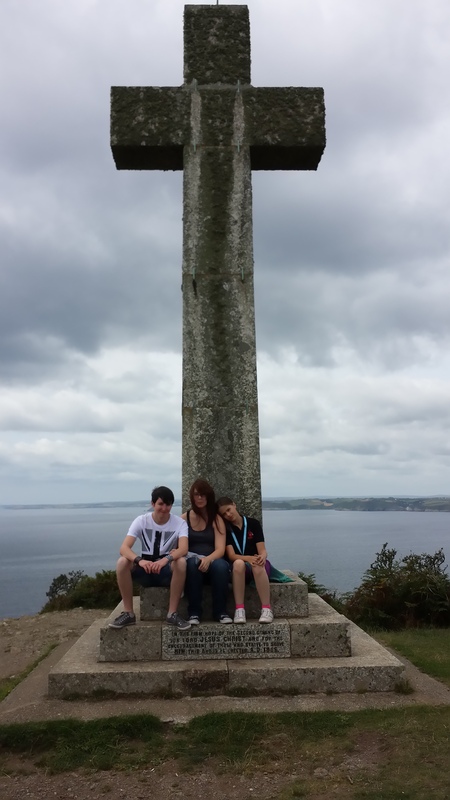 On the hunt for interesting geocaches around Cornwall’s Roseland Peninsula we came across many regular nano’s and micro’s, however amongst those was this one, Dodman Point. The land is managed by The National Trust, which has been helpful with my research on the area and provided us with a suitable parking place in Penare. Dodman Point is the highest headland on the south coast of Cornwall. (I measured the altitude as 353ft above sea level.) It has awesome views and a great deal of history attached to it. So much so that the headland is popular with archaeologists. The National Trust page about Dodman Point states that the headland is home to a massive Iron Age earthwork, known as a promontory fort or cliff castle, however on our walk we didn’t see any evidence of this. More history is evident though. 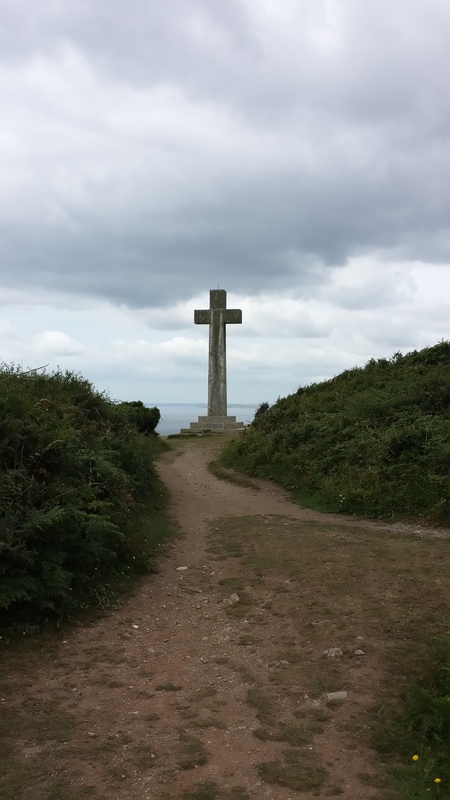 After a good half mile walk off in the distance we spotted a huge cross, made of granite and standing high above our heads. It is said that the cross was erected in 1896 by Rev. G Martin as a navigational aid for seafairers. But it failed to save two warships the following year and more recently, the pleasure boat “Darlwin” sank with all passengers on board in 1996. All around the Bulwark there remains evidence of the Iron Age strip-field system, some areas have been made into larger fields, but those that remain are now being controlled to preserve them for longer, as the area is now a Scheduled Ancient Monument. Following the path in the direction of the geocache (I almost forgot I was out geocaching), we came across more history. This time it was an 18th century signal station (or watch house). The Royal Navy set up a series of these stations around the coast in response to the war with France in 1795. The stations would communicate through a series of marks on a flagpole and outriggers, they were communciated to and from the ships at sea and between each other. The stations would have been manned 24 hours a day, and at night the signals would have been made by fire and blue light. 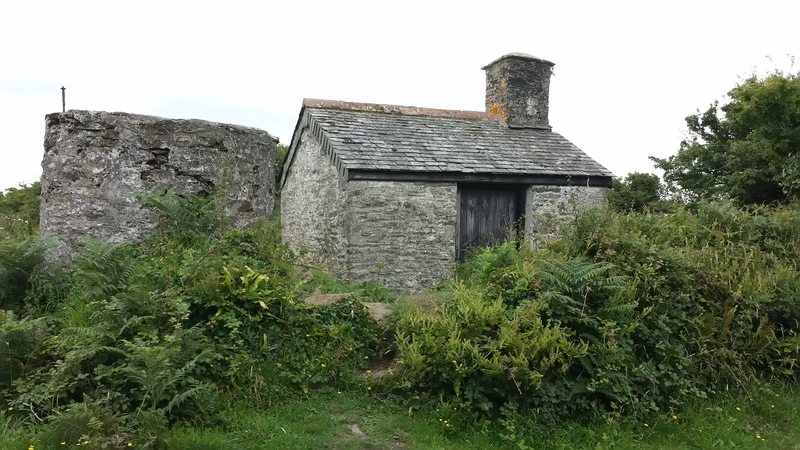 At Dodman Point, this watch house is a fine example. The watch tower is still in good condition and has a remaining anchoring shackle for the flagpole. The building itself is only one room and now houses a bench for walkers to rest upon in bad weather. The garden wall also appeared to remain in tact. The Dodman watch house was used by the coast guard during the 19th century, and the flagpole remained until 1957 when it was lost in a storm. What a great thing to find while out geocaching. This is one of the many reasons I love the GPS based activity. Especially when people such as Loose Lips Sink Ships place geocaches at sites of historical interest. 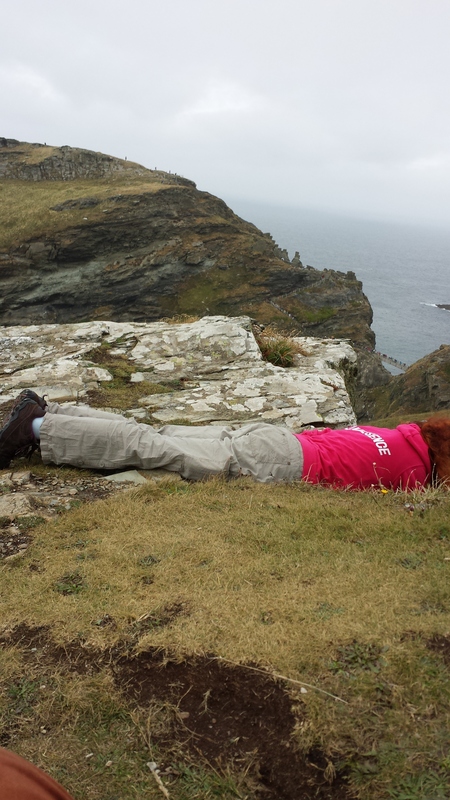 Oh and I forgot to mention that the geocache is not the only thing we found high up on this headland. We also found our first Waymarker. My next task is to find out more about waymarking and to find out how to log the one we found here. 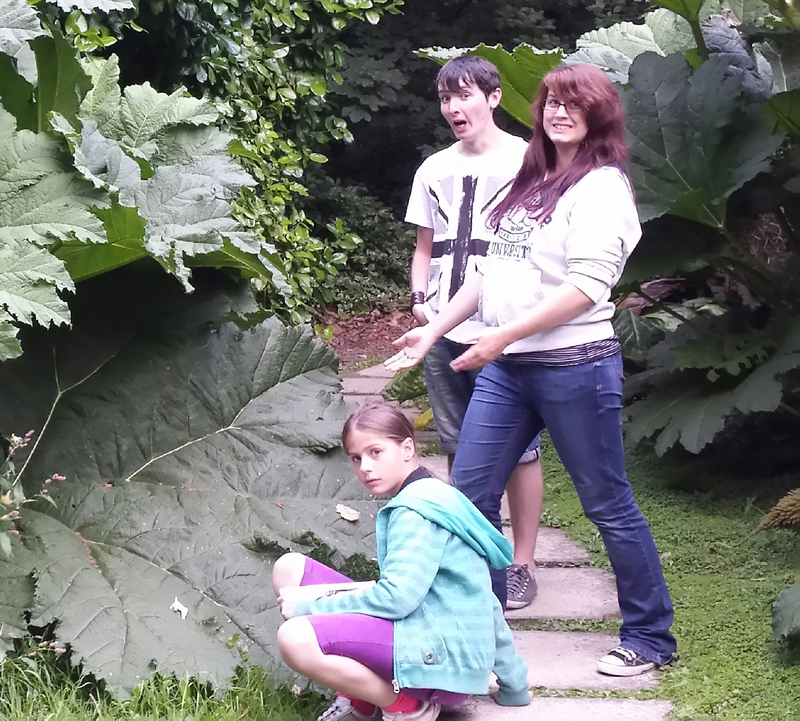 I’ve just got back from a few days away in Cornwall with my geokids. Reason for going – the eldest was missing her boyfriend! 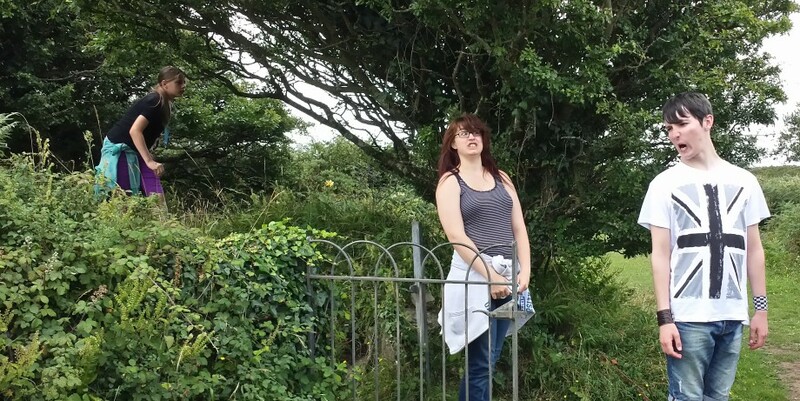 Reason for taking her to Cornwall to see her boyfriend – So I could geocache in a new place! And I was pleasantly surprised by the beautiful places we encountered. 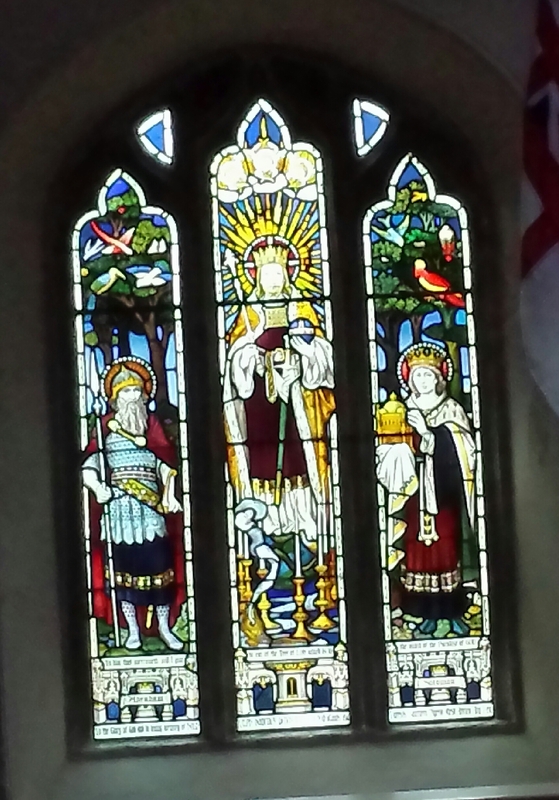 Here is just one of them, St Just in Roseland Church. Roseland has nothing to do with roses, it apparently comes from the Cornish word ros or roos, meaning promontory. Which is exactly what the Roseland Peninsula is. It is a little jutted out piece of land surrounded by sea, rivers and streams and spans approximately 10 miles by 10 miles (don’t quote me on that!). I was bought here by a geocache (“of course!” I can hear you all cry), why else would I be here! However, we got terribly sidetracked from the hunt for Roseland #3 – “Captain Jack’s nuptials” when we spotted the intriguiing and beguiling cemetary beside the road. The huge, tall palm trees and exotic looking flowers were all it took for us to enter the grounds and discover a new world within. 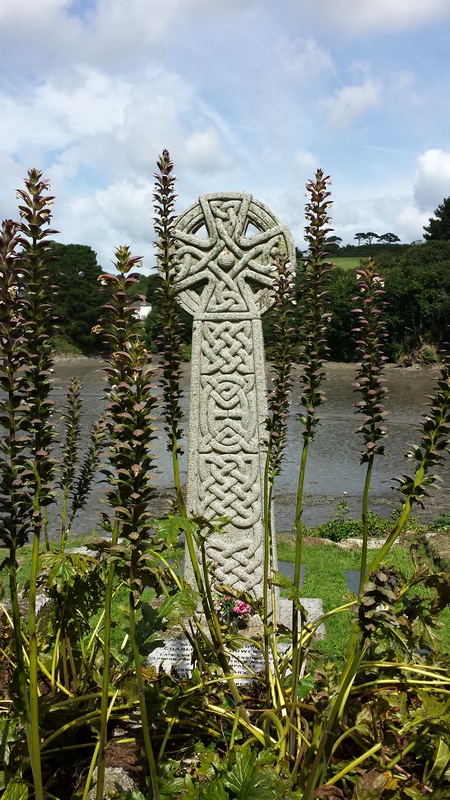 As we looked around it was clear to see that St Just Church was part of the Celtic church and well established long before the arrival of St Augustine in England. 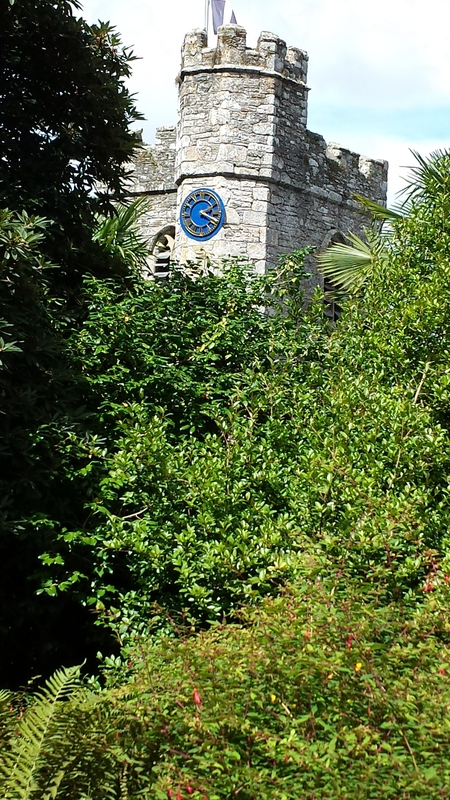 It is said that there has been a church here as early as A.D 550, but the present church was consecrated in August 1261. About half the church is from that era, with the tower, south chancel and pillars dating from the 15th Century. 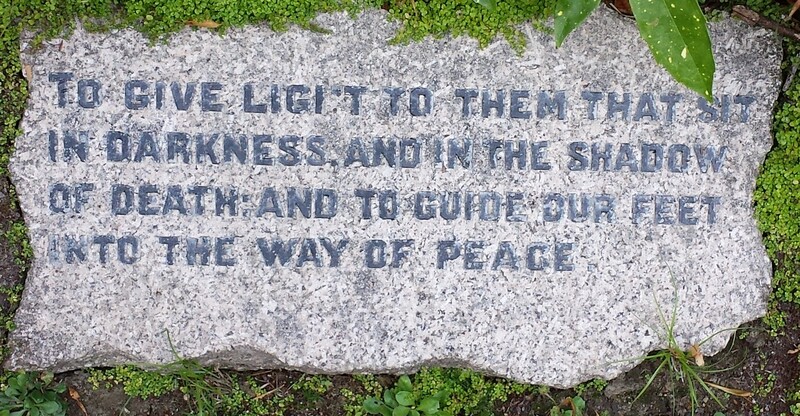 All along the main walkway down to the church itself and the bay, were stone (granite, I think) plaques with a variety of biblical scriptures on them. All beautiful and relevant to the surroundings, which added to the calming atmosphere within the boundaries. I was in awe of the tombstones, all laid out with precision in a kind of stepping layer cut into the hillside. Some were plain and some were intricately decorated. The earliest that we found was dated 1755, but I am sure that if you were to head deeper into the tree growth there would be some earlier than that. Following the footpath round the outside of the church and alongside the bay, we came across a sign, pointing us towards a “holy well”. We had to investigate: the path towards it was serene and beautiful. The tide was out, so I imagine it looks more peaceful when the bay is filled. I bought a guide book from the porch of the church in the hopes it would have some information about the well. Having read it, there is nothing! 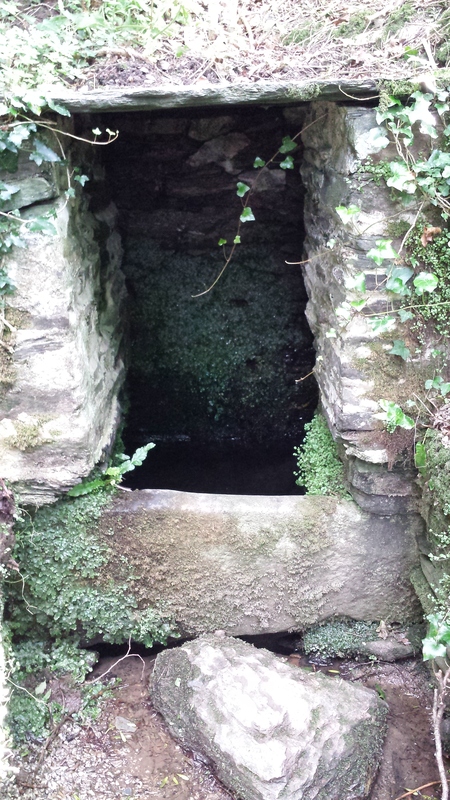 I have heard a rumour that there was a man with a “gammy” leg who went to the well and bathed in it. After the bathing the problems with his leg were miraculously healed. After seeing the well we decided that we should now find the geocache. We had been in the church gardens for about an hour. We took one of the many paths through the jungle of palm tress and tropical looking plants and came across a more modern part of the cemetary. 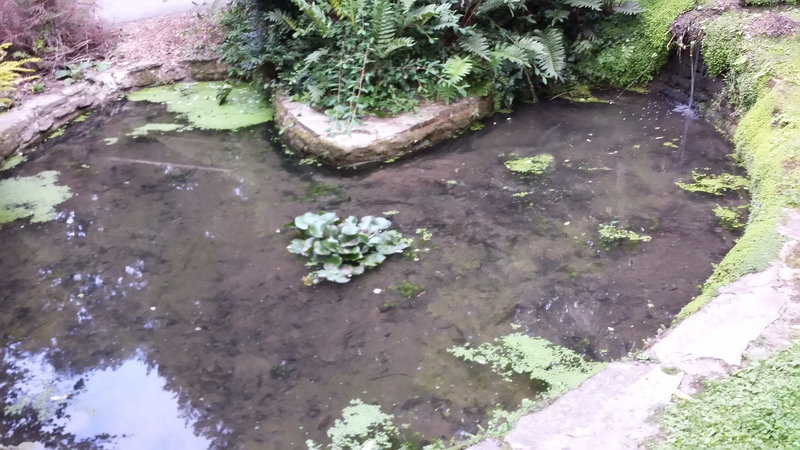 With a stone bordered stream that led to a heart shaped pool. 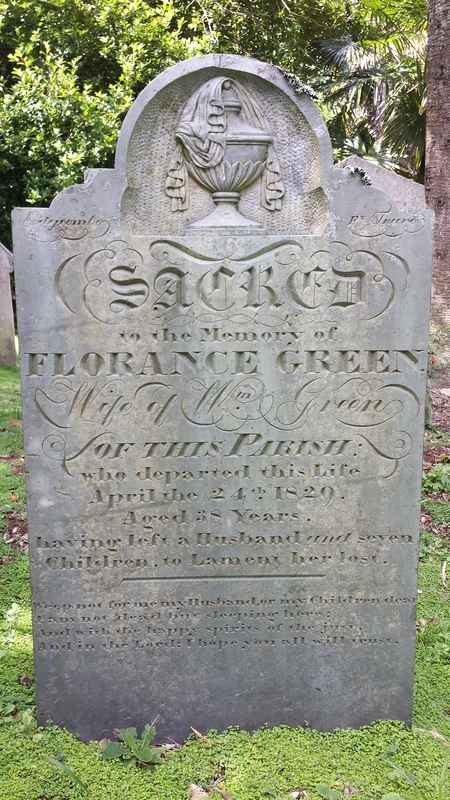 My only thought at this point was that I would like my final resting place to be somewhere like St Just in Roseland church. What will you be doing on Saturday 17th August 2013? 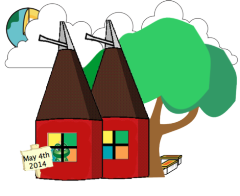 I personally will be attending another Kent County Geocacher’s meet. 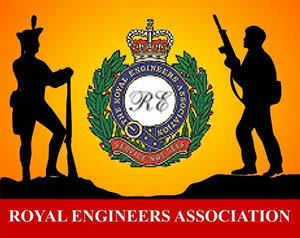 This month it is hosted by two members of The Royal Engineers, LA:RS and Geosoldier2647. 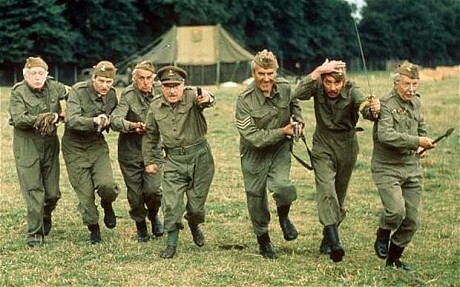 The meet in question is called “Dad’s Army” GC4F1FY. :INTENT – It is our intent to execute a monthly meeting within our tactical Area Of Responsibility. Sussex Cachers will cover us from the South and Essex Cachers to the North. :MISSION – KCC are to seek out and sign the Logbook, ensuring Smileys are gained on Higher Commands mapping. We will RV at: 1200 – 1500hours. Location – The Halfway House, Canterbury Road, Challock, TN25 4BB… where a transformation of new recruits (You Guys n Gals) into honorary Quasi-Geosoldiers for the day will take place! Six OP’s (Observation Posts) will be in place for the event where you’ll have to visit and gather information on the Enemy location they’re all watching. (a field puzzle). So I’ve got my uniform starched and kit bag ready for the days mission. 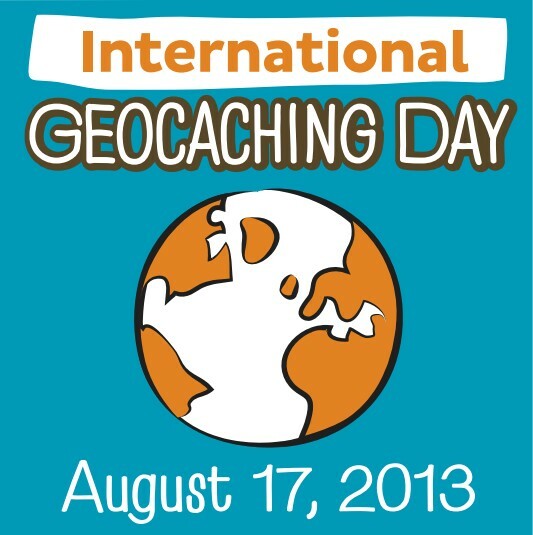 Sounds exciting – so much so that the event has made it onto the bookmark list for the 3rd Annual Geocaching day 2013. If you are unable to attend our event, why not check out the bookamrk list and see if there is one in your area. The Kent Mega Event 2014 will be held on the weekend of Friday 2nd May 2014. The main MEGA Event will be held at The Hop Farm in Kent on Sunday 4th May 2014. Other Satellite Events will be held at various locations around Kent. What is a Mega-Event Cache? Due to the anticipated number of participants at next years Kent Mega Event 2014 to be held on Sunday 4th May 2014, we would encourage you to pre-register. This would help our organising committee get a better handle on the number of people expected Click Here to register now! Register now to win a GSAK licence as soon as Groundspeak confirm we have Mega status we will get a random generator to pick out the winning name. 4th day Free of charge. After some persuasion from fellow geocachers Sandra123 and kat15 have agreed to take on ‘MBH – Godzilla ’98 Track 3’ GC441NM. They will be helped with this challenge by Geosoldier2647 and LA:RS! The date is going to be set soon for any supporters to come down and support them on their way. “WARNING, THIS CACHE HAS DANGERS ATTACHED TO IT. The ladies are doing this challenge to help raise funds for the Kent Mega 2014 Event, so please, please sponser them! 50p – £1 – £2 – £3 – £4 every little helps! Good Luck Ladies. . .